Managing documents is extremely time-consuming. A typical employee spends nearly 40% of their time looking for information locked in e-mails, documents, shared hard disks and filing cabinets. Managers spend an average of 4 weeks a year searching for or waiting on documents that have been misfiled, mislabelled or just plain lost. EDM removes this headache: no need to worry about documents getting misfiled, lost or destroyed, as it is held on a secure server forever. EDM (Electronic Document Management) is the management of different forms of documents using computer programs and storage. EDM encompasses the processes and procedures your organization uses as it relates to capturing, storing, securing and retrieving information day to day. 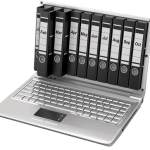 For many organisations, these processes can be greatly improved with the use of document management software or EDMS (Electronic Document Management System). Learn how to prioritise your goals for implementing a Document Management solution. At its best, unified communications (also called “UC”) is just what it says – it enables better collaboration by unifying formerly separate modes of communication into a single, combined user experience. Email, text, and voice messaging work seamlessly with live voice, audio and video conferencing, and Web collaboration, in one interface, with “presence” notification to indicate your availability to participate. A well-executed UC platform allows organisations to effectively integrate a secure, reliable, borderless communications network to their infrastructure, generating significant cost and operational benefits. This is the one key element often missing from UC. The Dajon EDM Solution is designed to bridge that gap by helping you to make proper categorised electronic documents available in a controlled, secure manner to those within your organisation who need them, no matter where they may be at the time. From your mobile devices to your desktop, you can access the data and documents you need to run your business. All related information is connected and tied together for one-click access. With workflow automation, your content becomes a dynamic part of your business. The costs associated with creating, printing and sharing documents across the business can often be difficult to quantify. Often regarded as a “hidden cost” document management can often account for a significant proportion of operating costs. Many businesses find it difficult to accurately identify how much they are spending on document management, let alone where savings can be realised. The Dajon EDM solution is designed to make the 5 primary components of document management – Capture, Storage, Security, Access, and Integration – simple and effective. Control who sees, accesses and shares all of your information. Protect your valuable business information and ensure that content is not accessible to unauthorized parties. Set limits down to group, department and specific user’s, as well as restrict the viewing of particular documents or index values based on a user’s point of access. Get more work done by tying all of your business systems into a single, cohesive unit. Bring together data, content & processes by integrating our technology with your core business systems. 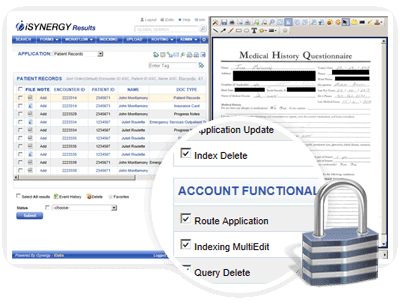 Access the information stored in the document management system directly from within the business system you are working. We off simple, standard and custom integration support. 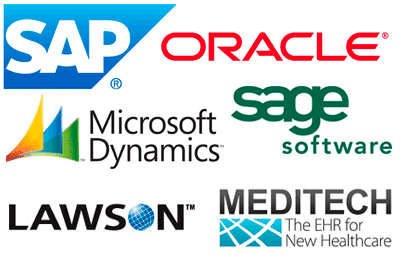 Connect with all of the core systems you depend on: SharePoint, Oracle, Great Plains, SAP and more. See how Document Management can save you time and money. Discover what features and functions you need to have a successful document management solution.